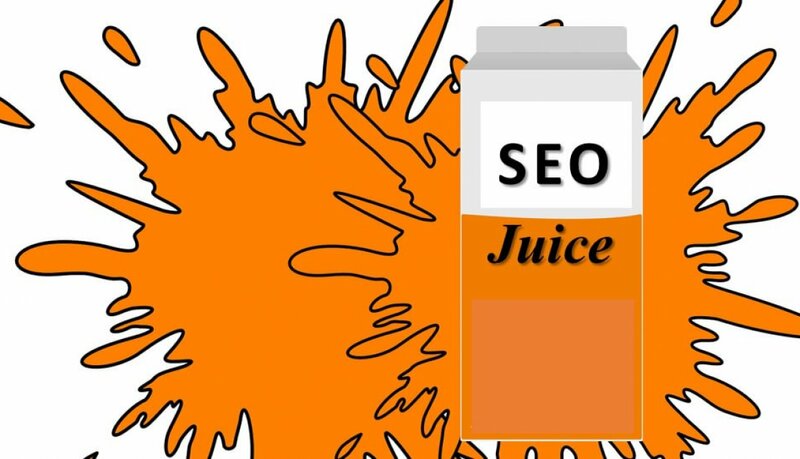 You’ve no doubt heard of the concept of SEO Juice, right? Your PageRank potential is likened to juice, and your site, re-imagined as a juice carton. Inbound links (aka backlinks) are thus viewed as yummy rivers of SEO juice flowing into your website, nourishing your PR potential with all it needs to grow into a strong and healthy site (read: strong PR stature). But beware! Outbound links can cause your site to “leak,” and your PR potential can dribble out of your cyber carton if you’re not vigilant. Enter a compelling image of a carton or water pail with band-aids plugging leaky holes, and you’ve got the concept mastered.